Cast: Ellen DeGeneres, Albert Brooks, Ed O'Neill, Ty Burrel, Diane Keaton, Eugene Levi, Idris Elba, Dominic West, others. In 2003 Pixar Animation Studios presented us with some of the best under the sea animated images in an unforgettable movie: Finding Nemo. As usual, the studio taught a lesson on how to create an incredible original screenplay (nominated for an Academy Award in this category), that paid special attention to character development. One of these characters was the sweet, yet clumsy and forgetful, Dory. The Pacific regal blue tang stole the spotlight and it came to no surprise when she was announced as the protagonist of the sequel. It took 13 years for this movie to come to life, but, I must say, it was worth the wait. 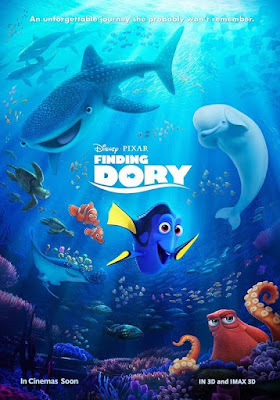 Under the sea, however, only one year has gone by since Dory helped Marlin rescue Nemo. 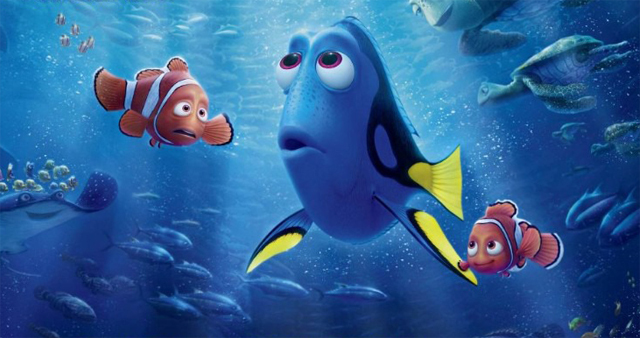 Life is the same for everyone, except for one single detail: Dory starts to have glimpses of memories about her life as a young fish, having her parents around her. That's when two important things happen: the adventure begins and it is nothing like the original. 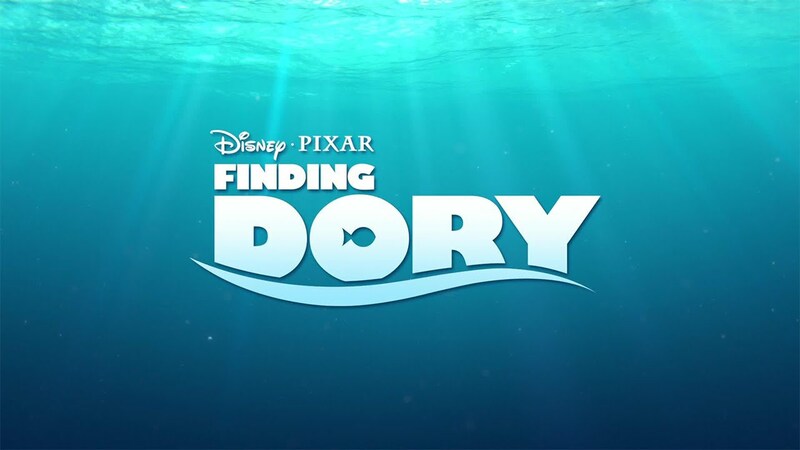 Finding Dory doesn't recycle the plot or characters. Don't expect, for example, to see Darla or the trio of Sharks. This movie brings its own assemble of new characters and they are special on their own. The original trio, Dory, Marlin and Nemo, are still true to their characteristics with Ellen DeGeneres doing another exceptional job voicing the blue fish with the perfect tone between naivety, youth and comedy timing. This time she has new friends: Hank, the cranky octopus (played by Modern Family's Ed O'Neill); Destiny, a short-sighed whale shark; and Bailey, a beluga whale. Also, Eugene Levi and Diane Keaton provide the voices for Dory's parents, Charlie and Jenny. All of the characters have their moments to shine in a screenplay that navigates well between comedy and drama, without being pushy or underestimating children's understanding. The animation is a piece of art. Every frame, every fish, every seaweed... Everything has a special appeal. Sometimes it's like seeing the real thing, like going under the sea. This experience is enhanced by the real 3D, something that wasn't used with its predecessor. Back then 3D was not a well developed technology as it is now. Coming from successes in the animation field (A Bug's Life and Wall-E) and a huge flop in his live-action attempt (John Carter), the director Andrew Stanton, who also wrote the movie and provided the voice for the sea turtle Crush, outsmart himself with this sequel. Can we say it's better than the original? No, we can't. 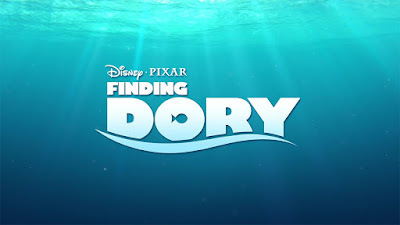 However, we can say for sure it is as good as Finding Nemo. Tip 1 - Don't come to the movie late or you'll miss the incredible Pipper, the best piece among all Pixar's works in short length features. Tip 2 - The Aquarium crew is not part of the movie this time, but if you want to know what happened to them after Finding Nemo I advise you to stay for the after credits scene. Find tickets for Finding Dory HERE.